Solar powered 24-hour Flashing Beacon Self-contained. 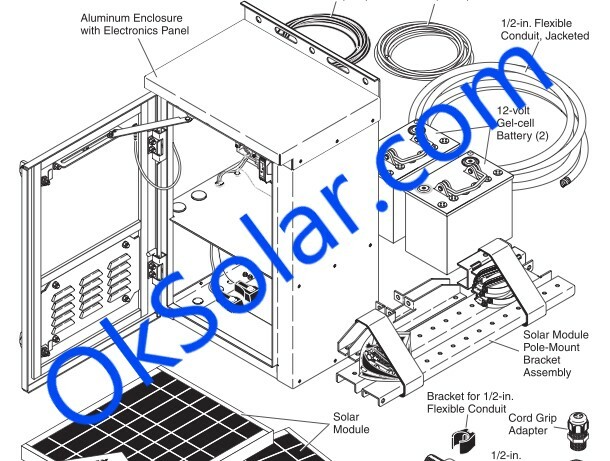 The system contain all electronics, batteries, controller & solar panel. No additional cabinet is required. The flashing beacon 12 inches (300mm) diameter LED module yellow or red lens, and mount with a standard bracket. Housing available in yellow, black and green (standard Black). Long life, virtually no maintenance. Adjustable 0-90 horizontal and 360 about pole. Batteries: Long-Life - Deep-Cycle - Maintenance-Free. POLE and Sign ARE NOT Included (check optionals). Packaging information: Brown Box (Individual Packing for each part). Easily and Quickly Deployed in Any Location. 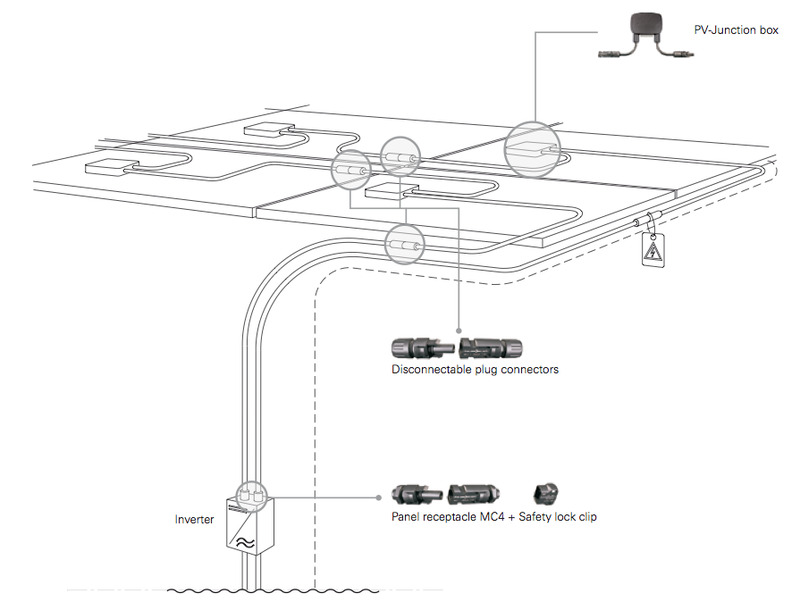 The Flexible design enables any configuration of bi-directional or dual flasher system solution. LED Beacons - Long-Life with Extremely Low Power Consumption. Vandal and Theft Resistant Components and Hardware. 25-Year Warranty on Solar Modules. 3 days worth of Backup energy for cloudy days. ** Meets all requirements for design, illumination, and color of signal sections required by 2009 MUTCD, Chapter 4L, Flashing Beacons (MUTCD: Manual on Uniform Traffic Control Devices). Vandal and theft-resistant components and hardware. NO run Wiring from grid! Big Credits and Savings form State and Federal Taxes. Pays for itself in the form of reduced installation, maintenance and servicing costs. Reliable operation 365 days per year at nearly any location. Firehouse Entrance / Exit Warning Beacons. 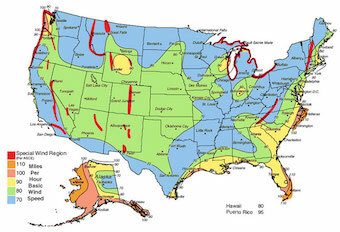 WIND LOADING CAPABILITY Map: Standard mounts are designed to withstand 30 lbs. / ft. 2 (approximately 90 mph or 145km/hr.). Designs capable of withstanding greater loads are available upon request. Wind Load: Withstand 150 MPH winds Certified to meet or exceed ASCE-7-05 specifications for 150 MPH, Exposure D extreme wind event! Required an optimally oriented solar panel at the installation site. Solar Powered LED Lighting System Designed for Zone 4. 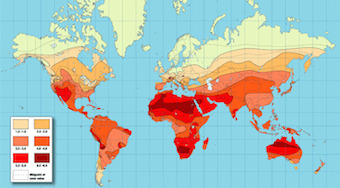 Zone Type: To determine the Zone that you are in Contact us for Information on World Daily Solar Radiation Zones . 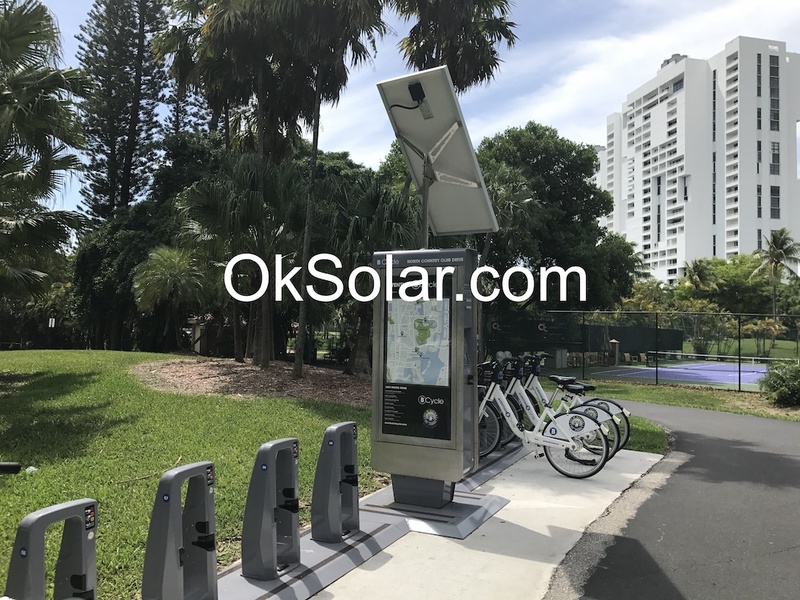 OkSolar Solar Engine Unit with True Plug and Play System, Remote Solar Power DC High Efficient Off-Grid Solar Systems, Anytime Anywhere in the World!. Reserve: 3 Days under Cloudy conditions. 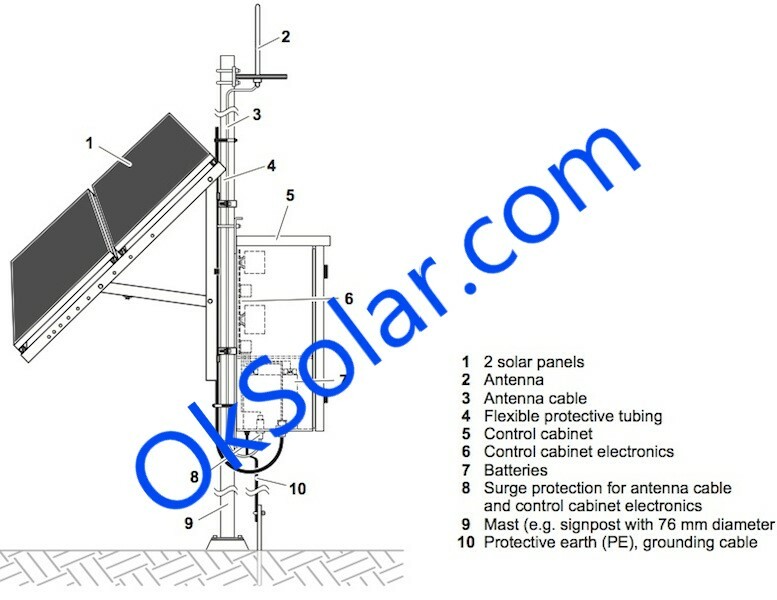 Remote Solar Power DC High Efficient Off-Grid Solar Systems, Anytime Anywhere in the World! Remote Solar Power. Power Rating: Custom Made to your specs from 20 Watts TO +100 KW. 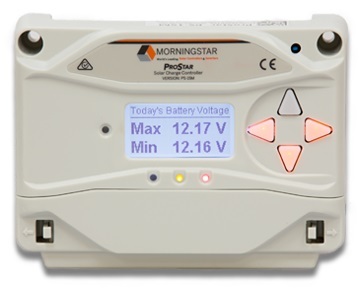 Voltage: Custom Made to your specs from 6,VDC 12VDC, 24VDC, 36VDC, or 48 Volts DC. Reserve: 3, 5 or 7 Days under Cloudy conditions. Optional Operation: On/Off. Check Related Items. Class I, Div. II-configured power systems available. 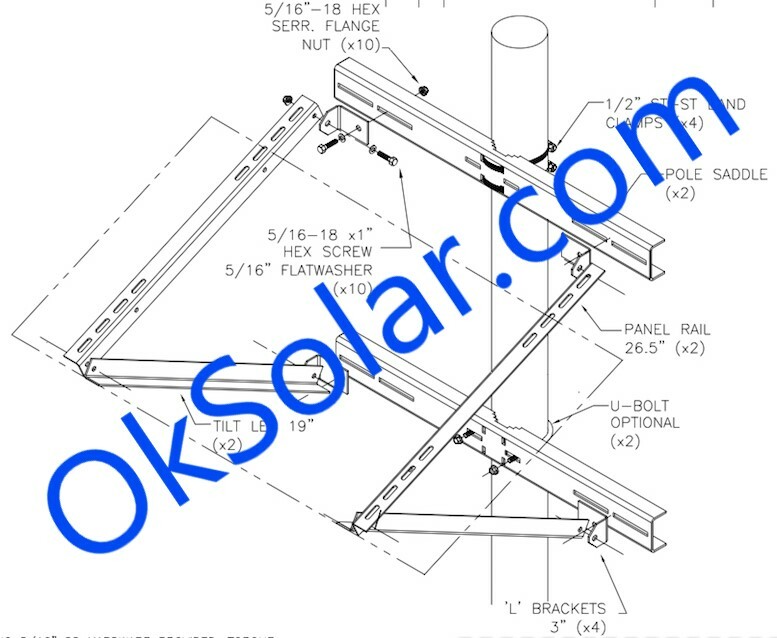 Structure for solar panel Pole mount Adjustable 0-90 horizontal and 360 about pole. Detailed instruction manuals included in every system. 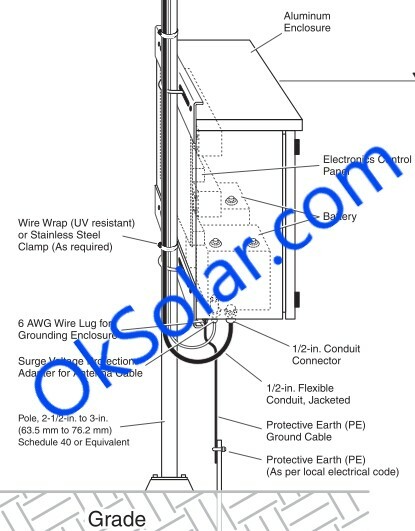 Entire pole-mounted system is designed to withstand 90 MPH wind loads with 1.3 gust factor. Expand your system: We have included components that allow for easy plug and play expansion units. Remote Solar Powered DC are designed to provide reliable remote power for your outdoor equipment throughout the year. Anytime Anywhere in the world! Installing and moving is easy no more waiting for the utility company! Proven technology. Vandal and theft-resistant components and hardware. All parts are corrosion resistant. Component lifetime of 25+ years. Warranty: Two-year full system. 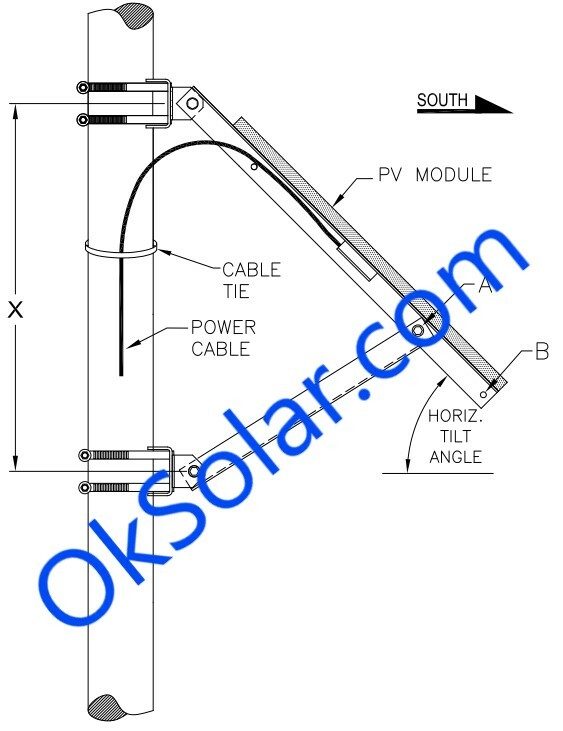 Solar Module up to 25 Years (Manufacturer Warranty). Solar DC power supply, SCADA power systems, telecom power supply, wireless and security power systems. 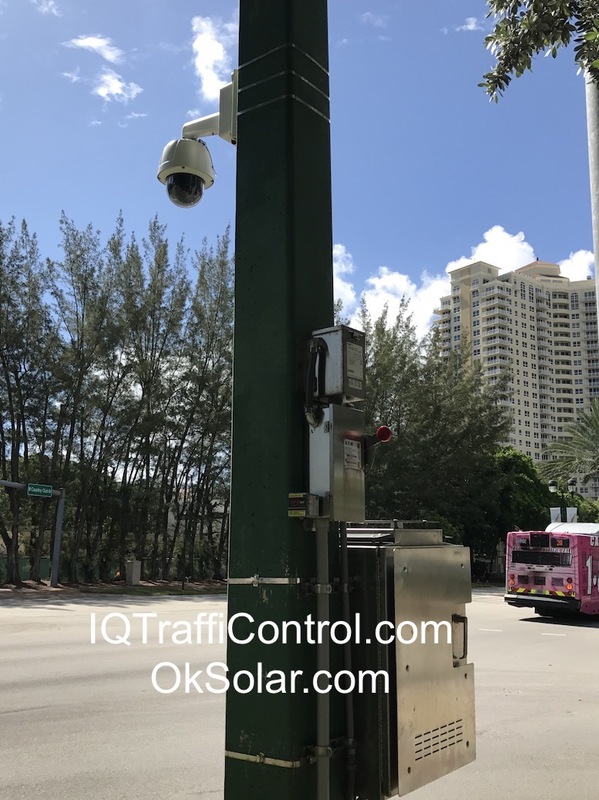 Remote Solar power systems, solar for ITS, outdoor traffic safety equipment, traffic message boards, traffic counters, solar emergency call boxes, CCTV power, power for intelligent transportation systems, remote power, SCADA power systems, remote monitoring, wireless power systems. 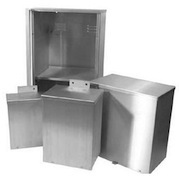 Breakaway Post Assembly includes Pole 15 feet, Base Square Aluminum with Plastic door and Break way collar for standard systems. Traffic Pedestal Pole & Base Aluminum Pole Kit Pole 15 feet, Base Square Aluminum with Plastic door and Break way collar for heavy systems. Batteries Enclosure, Two Battery Cabinet Group31. Infrared Human Body detection sensor switch controller. Rechargeable Battery. Doppler Sign Activation Speed Radar .